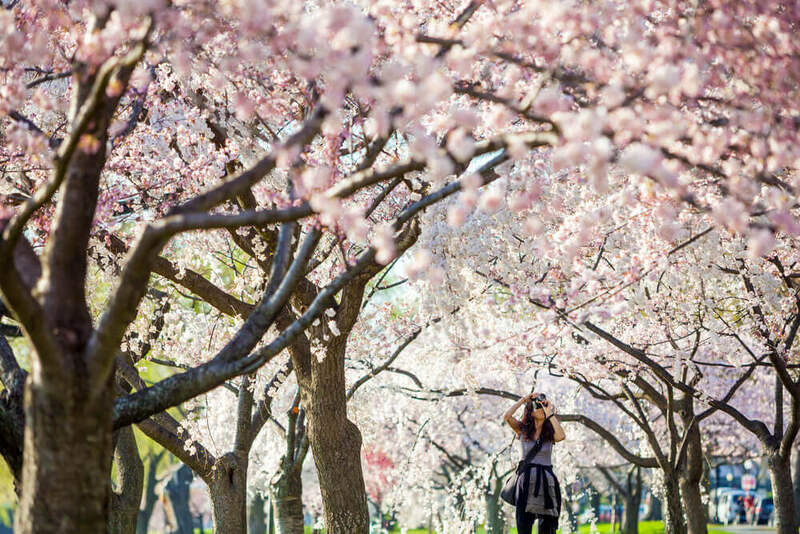 Spring is generally the season when the lower mainland that is home to thousands of cherry trees come into full bloom, with certain sections of the city transformed into wonderful hues of pink. These trees were a gift from the Japanese government to the city in the 1930s, with Vancouver’s climate very conducive, which resulted in their proliferation throughout the city. Of course, there are many varieties of cherry trees and consequently, they bloom at slightly different times. 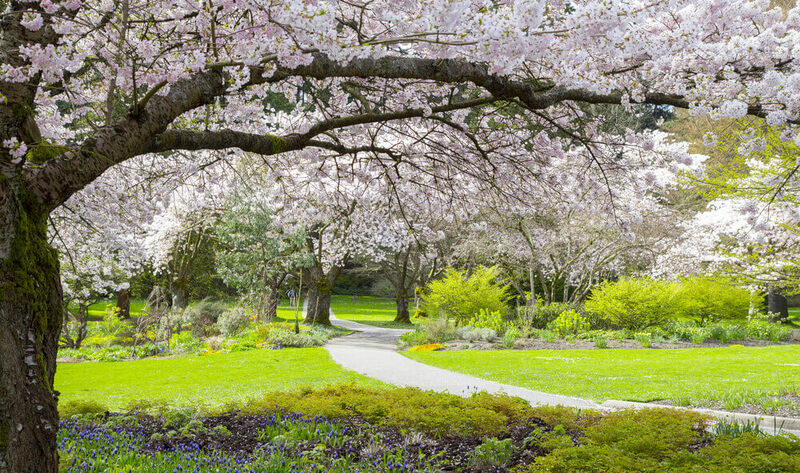 Some of the best places to see them include Van Dusen Garden, Stanley Park and outside Burrard Station, although, there are trees that bloom throughout the city in March and April as well. Visitors to the city will find staying at any of the Vancouver boutique hotels’ rooms in the downtown area an excellent choice. Guests staying at the L’Hermitage Vancouver hotel will find it convenient to commute to the main tourist spots in town. While in the city an afternoon tea Vancouver experience is a must to have on your bucket list of things to do. Those visiting Vancouver this April will have a wonderful opportunity to be part of the Vancouver Cherry Blossom Festival (April 4th – 28). The arrival of spring along with the cherry blossoms is celebrated all through the metro area of Vancouver. There are various events hosted like Van Dusen Garden’s Sakura Days Japan Fair, Cherry Jam Concert in the downtown area and Spring Lights Illumination Night at Stanley Park among others. Held at the Burrard Sky train Station, it is the opening event of the festival with the event held from 12:00 to 13:30 hours this year. It will include a variety of musical shows, Japanese drumming, dance, songs and of course Haiku poetry. Although it generally draws a crowd of a few hundred it is a cool event to visit when in the downtown area. The event will take place this year on (April 11 – 13) at the Japanese Monument in the centre of Stanley Park. The venue is new this time plus it is to be held for an extra day. Earlier it was hosted at Queen Elizabeth Park and only for two consecutive nights. It includes a fabulous light show and performing artists. Sakura Days Japan Fair: Hosted at the Van Dusen Garden it will be on the weekend (April 13-14). An annual event, it will feature Japanese anime art, along with a charming Japanese traditional tea experience, traditional sake and authentic Japanese culinary fare. There are numerous workshops organised on Japanese handicrafts like the art of arranging flowers (ikebana), Japanese calligraphy and the ever popular paper folding art form known as origami. Those that are members of the Van Dusen Garden will definitely benefit with lower ticket costs and also benefit from tickets being booked well in advance. Generally, the admission fees are in the range of $9 – $14, and also subject to from where and when the ticket purchases are made.